Forget about Planking and Twerking, Charlize Theron and Ryan Gosling are introducing #ShadesPounding! Hot enough for ya? 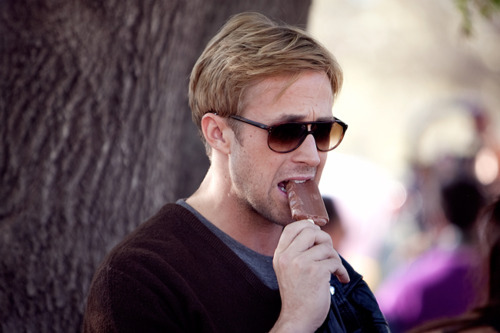 Well prepare for the old mercury to bump up a few more degrees as Mr. Gosling and Ms. Theron give a couple of ice cream bars a good Pounding! Charlize has “Mad Max – Fury Road” coming up soon, and Ryan has a film with Terrence Malick coming up, as of yet untitled – 2015 is going to be a hell of a year in film! She is really something else altogether. Cool Berry! Finest actor of his generation? Very possible! Now who else wants ice cream?